Rapid growing, reaching 8 feet to 15 feet, with a fountain-like form, these relatives of Spirea have similar dense clusters of tiny white flowers in early summer. Foliage is toothed and lobed, like a small maple, a pleasing rose-brown color in the fall. Bark peels or shreds to reveal "nine" layers. Common in moist sites, along streams throughout our area, it is a useful as a woodland native. 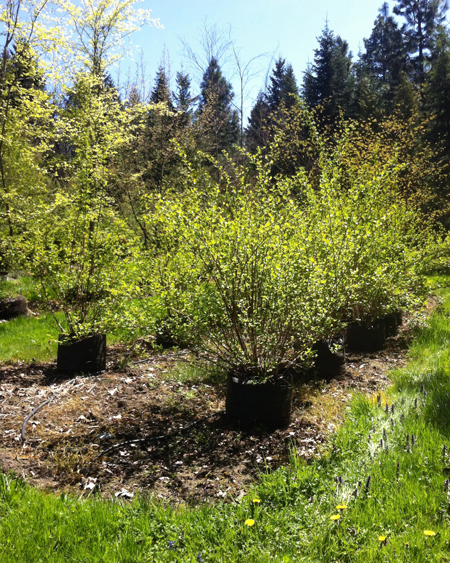 It is great for riparian planting, was one of the very first to regenerate after Wagner Creek suffered a severe flood. But try it also in a mixed shrub border. 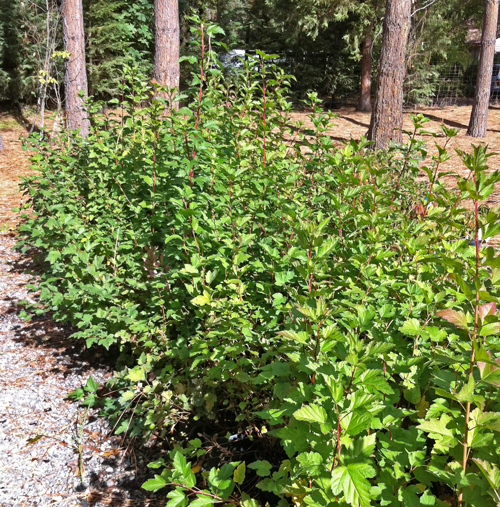 Give Ninebark moist but well-drained, fertile, acidic soil in full sun or partial shade.